Many people are thought dead and hundreds missing Tuesday after a hydroelectric dam collapsed in southeastern Laos, state media reported. 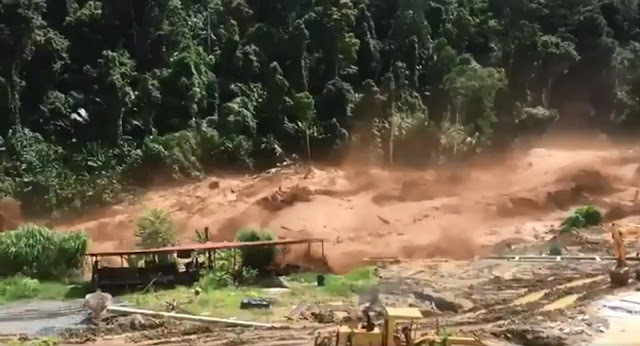 The Xepian-Xe Nam Noy hydropower dam in Attapeu province collapsed, releasing five billion cubic meters of water in the San Sai district, according to Sky News. The water swept away several hopes, the official news agency KPL reported. More than 6,600 people were left homeless. A video posted on the ABC Laos news Facebook page showed villages watching the water from the side of a river bank. It's unclear how many people died in the dam collapse. The dam was constructed by a joint venture led by South Korean companies, with Thai and Lao partners. The structure was scheduled to open in 2019, according to Sky News. Its plan was to export 90 per cent of the electricity generated to Thailand, while the rest was set to power the local grid.